The tricky relationship between POA indicators and hospital-acquired conditions can be costly. Since 2008, Medicare no longer pays hospitals for additional costs associated with select conditions that are considered by the Centers for Medicare & Medicaid Services (CMS) to be preventable medical errors or hospital-acquired conditions (HACs). Hospitals are required to submit present-on-admission (POA) indicators with each claim. If a Medicare claim includes a selected HAC that wasn't identified on the POA indicator, the hospital won't receive the higher resulting diagnosis-related group (DRG) payment. In other words, if the condition is POA, then payment will be approved for a certain diagnosis. If not, then the payment is withheld. The idea is that this will incentivize hospitals to improve the quality of care and patient outcomes. It also means that hospitals have much at stake in terms of reimbursement when it comes to POA documentation. Y: Present at the time of inpatient admission. N: Not present at the time of inpatient admission. For diagnosis codes accompanied by an "N" POA indicator, CMS won't pay a higher DRG payment because it will consider the complication to be hospital acquired. U: Documentation is insufficient to determine whether the condition is POA. W: Provider is unable to clinically determine whether condition was POA or not. 1: Unreported/not used; exempt from POA reporting. This indicator is used for factors that don't represent a current disease or for a condition that is always POA. But that is clearly not the case, says Lynn-Marie Wozniak, revenue cycle, coding, and compliance content manager at Elsevier. To illustrate the degree of complexity coders must overcome, Wozniak describes a situation in which a patient is admitted to the hospital with pneumonia, COPD, congestive heart failure, and cholecystitis (inflammation of the gall bladder). All of these conditions are POA and subsequently documented with a Y for their POA indicator. Following admission, however, the patient's chronic gall bladder condition flares up (not an uncommon occurrence when the patient's diet is affected by hospital food), which leads to a procedure to remove the gall bladder. "That generates two codes: a chronic code that has a Y on it and an acute code that will have an N on it," Wozniak says. "But let's say that at the same time the patient's COPD kicks up—he has chronic COPD with an acute exacerbation." In this case, she says, the new condition doesn't create another code, but instead changes it from one representing a simple chronic COPD to one representing COPD with exacerbation. "So which indicator do I put down?" Wozniak asks. "And the rule is that if we have a combination code like this and part of it happens while the patient is in the hospital, we have to put an N down. So it's shifted from a Y to an N on this code. "These are the kinds of detailed analyses coders have to do," Wozniak adds, pointing out that besides mastering the coding rules, coders must be clear on patients' exact conditions to accurately reflect the care given and the correct POA indicator. A clear and precise patient history and physical examination are critical to compliant coding, says Kimberly Cunningham, CPC, CIC, CCS, education manager at AAPC (formerly known as the American Academy of Professional Coders). "Hospitals are very aware of the documentation and specificity with which they should be describing conditions, procedures, complications, and hospital-acquired conditions," she says, adding that this information must be accurately reported, but in a manner that's going to allow the hospital to receive its proper reimbursement. For example, consider a situation in which a diabetic patient presents at a hospital with chronic ulcers or an infection. "[Hospitals] will make sure that they establish that the patient was already experiencing those conditions—such as infections—upon admission," Cunningham says. "They are very careful about documenting that so that as the condition progresses, it is established that it is more of a progression of the disease and not a complication from a procedure or a treatment they received as an inpatient. Instead, it's documented as a progression of the disease process that's already POA." Cunningham points out that symptoms such as fever, hypertension, and tachycardia may be POA with all signs pointing to an infection, yet it may not be possible for a physician to initially document that sepsis was POA. "But once the patient is inpatient and three days later you get a few positive cultures and can identify the bacteria, you can safely say that sepsis was most likely present on admission because of all the signs and symptoms that were present on the initial exam," she says. With that in mind, it's critical that when physicians conduct a patient history and physical examination that they relate the signs and symptoms POA to the actual condition causing the problem and as the reason for admission to the hospital, says Angela Rose, MHA, RHIA, CHPS, director of HIM practice excellence at AHIMA. "A seasoned coder can look at this and deduce that the symptoms are part of the sepsis, query the physician to see if he believes it was POA, and be done with it," she says. "But a coder [with less experience] may miss it and code it not POA." This suggests that education—for both physicians and coders—is critical when it comes to documenting and coding POA/HAC. "And a lot of coders aren't formally trained in how to assign POA and how different codes and different things that happen during a stay will affect which ones you use," Wozniak says. "And they're often left to their own devices to figure out how to do it." Even with appropriate training, it's difficult for coders to master the nuances of POA/HAC situations. "It's not straightforward at all, and it requires a very good knowledge of the coding system as well," Wozniak says. "And with the shift to ICD-10, coders are learning the rules as they apply to this particular code set. Part of the challenge is making that transition and ensuring that they understand which rules apply to which codes." Often pressed for time, coders face several hurdles in their quest to efficiently bill care. "Coders are trying to get all the codes on the record and the POAs assigned accurately, and they have productivity levels to meet and they have to drop these bills or the hospital doesn't get paid, which affects cash flow," Wozniak says. "And they don't always have the luxury of having enough time to do it all carefully. Cunningham says coders must recognize the need to be educated about disease processes and the signs and symptoms related to certain conditions. This will allow them to better recognize POA factors, follow documentation, and make proper code assignments based on the documentation. Proper documentation of HACs and POAs is a two-way street, of course. If physicians lack awareness of the important factors, there's not much a coder can do. According to Wozniak, physicians often don't place enough emphasis on complete and accurate documentation. "It's hard to get doctors to understand why we [coders] are asking them all these questions," she says. "Clinically, to a physician, what difference does it make when something flares up? It flared up and he took care of it." Some classroom time would help, Cunningham says. "Physicians need to be educated as far as what is required of them and what are the potential outcomes if things are documented properly," she says. "Sure, they're busy, and if they are doing seven surgeries a day, that's a lot to document. But if they understand how this impacts reimbursement and the quality of care of their patients, then they should be able to understand what they are supposed to contribute to this process." Still, coding departments should not be so quick to pass the buck. "I'm not going to blame [documentation and coding] problems on physicians—they obviously have a lot of things on their plate," Rose says. Wozniak says the ability to accurately and efficiently document and code for POAs and HACs also can depend on whether an organization has the resources to implement a clinical documentation improvement (CDI) program. "CDI specialists are the people who are looking for the type of documentation that can help verify certain scenarios before a patient actually leaves the hospital," she says. "And its always better to get a query to a doctor before patients leave the hospital and while the doctor is still thinking about them." In the end, Cunningham says physicians, coders, and CDI specialists must collaborate effectively to produce accurate, concise, and clear documentation that will enable coders to code the record and defend and support that coding. How effective are hospitals at documenting and coding POA/HAC? "I think that, in most cases, facilities are almost there," Cunningham says. "There are a small percentage of cases that—for whatever reason—there is some kind of disconnect." Accuracy rates will likely vary by case, Wozniak says, "With certain diagnoses, the accuracy rate is always high because of the nature of the condition. You can't develop cancer while you're in the hospital—that's just impossible—so you'll always have a Y on them," she says. "And others would be used only in certain situations. For example, you can't have an immediate complication of a caesarian section anywhere but in a hospital. So some of them are very clear and are going to be very accurate." In 2012, CMS issued "Accuracy of Coding in the Hospital-Acquired Conditions—Present on Admission Program" in which researchers examined the underreporting of the following three POA types: catheter-associated urinary tract infections (CAUTI), vascular catheter-associated infections (VCAI), and deep vein thrombosis/pulmonary embolism. The report also analyzed five HAC types (CAUTI, VCAI, falls and trauma, stage III and stage IV pressure ulcers, and extreme manifestation of poor glycemic control) to examine POA overreporting. The researchers found no patterns of widespread underreporting of HACs or overreporting of POA status. In fact, in just 23 out of a total of 749 HAC cases (3%), the condition was determined to be present but not reported. Of the disagreements that were observed, the most frequent were for CAUTI cases, 6% of which were inaccurately coded (ie, the condition was present but not coded by the hospital). As for overreported POA cases, 91% were coded accurately. Of the cases reported inaccurately, the highest percentages were attributable to stage III and stage IV pressure ulcers. "They didn't see any strong trends one way or the other," Wozniak says. "And overall, they did see that the reporting was getting more reliable." In December 2015, CMS released the 2016 results of the HAC Reduction Program. Effective beginning fiscal year (FY) 2015 (discharges beginning on October 1, 2014), the program requires Health and Human Services to adjust payments to applicable hospitals that rank among the worst-performing 25% with respect to risk-adjusted HAC quality measures. These hospitals will have their payments reduced to 99% of what would otherwise have been paid for such discharges. CMS reported that for FY 2016, 758 out of the 3,308 hospitals subject to the HAC Reduction Program would have a 1% payment reduction (amounting to $364 million) applied to all Medicare discharges occurring between October 1, 2015, and September 30, 2016. In FY 2015, 724 hospitals were subject to payment reductions. Across the 2015 and 2016 programs, the average performance on two of three measures included in both years improved, while one—CAUTI—worsened. Conditions related to CAUTI are notoriously difficult to code. "The physician documentation might not be there, especially in areas like CAUTI," Rose says. "The physician may document that a patient has a urinary tract infection and the nurse may document that the patient has a long-term Foley (catheter). But if the physician doesn't link those, the coders can't code it to catheter-associated UTI. So we can go back to our CDI specialist and hopefully get them to document that, but if not, it's either missed or not coded correctly." 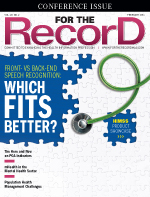 According to Rose, the key takeaway is that physician documentation and coder behavior strongly affect HAC Reduction Program scores—and can potentially cost their hospitals millions of dollars.